Ready to flex those memoir-writing muscles? 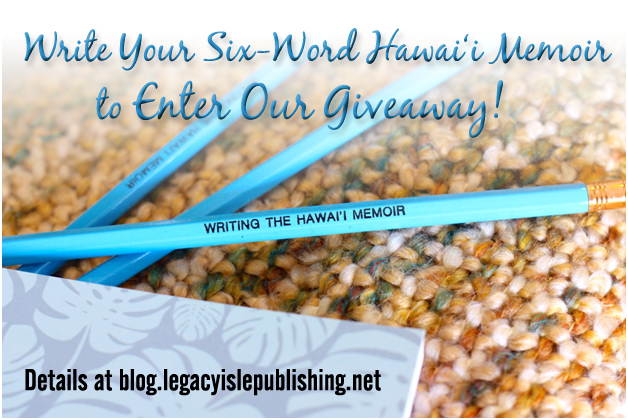 To celebrate the release of Writing the Hawai‘i Memoir: Advice and Exercises to Help You Tell Your Story by Darien Gee, we’re giving away three sets of memoir books, including the new how-to guide, plus a 15% discount credit on a Legacy Isle Publishing package. All you have to do to enter is share your own Six-Word Memoir®. See the end of the post for complete details. Post your own Six Word Memoir in a comment below. Your memoir MUST be six words, exactly. Additional entries: Post a DIFFERENT memoir on our Legacy Isle Publishing Facebook Page and/or on Twitter (don’t forget to tag us @LegacyIsle). Memoirs submitted for each channel must be unique. Duplicate entries will be discarded. You may enter once per channel (blog comment, Facebook, Twitter). Each memoir submitted is entered in our drawing for one of three prize packages to be given away. Entries must be submitted by July 15, 2014. DEADLINE EXTENDED TO JULY 31, 2014! Legacy Isle Publishing is not responsible for misdirected or improperly tagged entries. 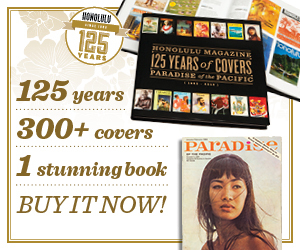 One (1) certificate valid for a 15% discount on a Legacy Isle Publishing package. Package must be contracted/purchased by December 31, 2014. Discount applies toward package services only; does not apply toward shipping or additional distribution charges.